A large upper trough remains over NNW Europe with an intense surface low crossing Scandinavia. A deep upper low rotating over E Iberia and maintains humid / warm airmass over the western Mediterranean. A MDT risk has been issued for S France into NW Mediterranean with threat for torrential excessive rain, severe winds and some tornado / waterspout threat. A SLGT risk has been issued for W Mediterranean with threat for excessive rain, severe winds and waterspouts. 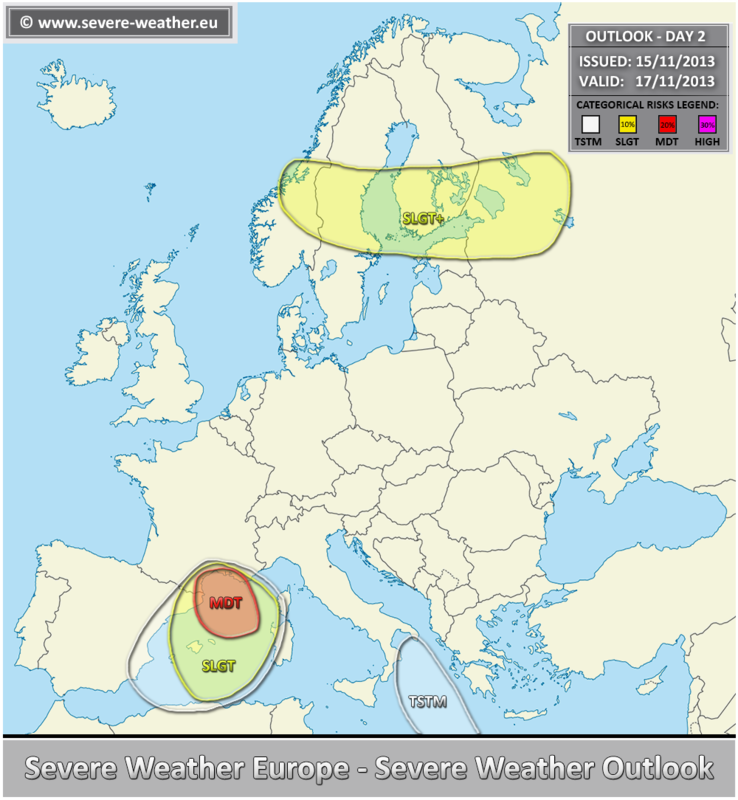 A SLGT+ risk has been issued for central Scandinavia across N Baltics into NW Russia with threat for severe winds. Extreme winds will be possible, area will be monitored for possible upgrade into MDT risk on DAY 1.